It is meant to be a delightfully sweet and tasty treat, but the Duffin, a doughnut – muffin hybrid, has left a very bitter taste in one pastry chef’s mouth, after Starbucks trademarked the name. 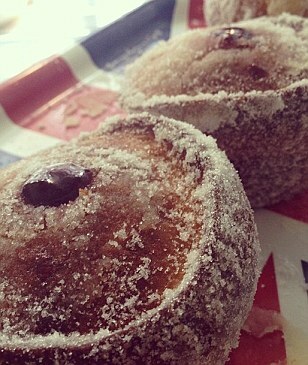 Bea Vo, owner of Bea’s of Bloomsbury, has been selling her Duffins from her four London bakeries for over two years. She was shocked to learn that high street coffee giants Starbucks had launched it’s own version of the snack and registered the name. 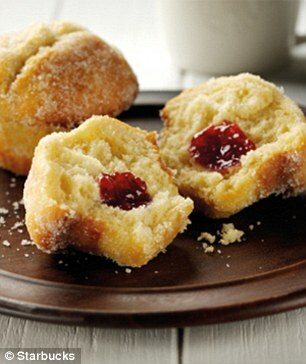 The Bea’s of Bloomsbury Duffin uses a buttermilk and nutmeg batter which is baked and stuffed with raspberry jam before being dipped in melted butter and then dusted with sugar. The Starbucks version, which was developed by their pastry suppliers Rich’s Products also uses nutmeg and buttermilk and is injected with raspberry jam, however it foregoes the butter dip process. She told ABC news: ‘I didn’t really give it too much thought until I found out their version of the duffin also contains raspberry jam, nutmeg and buttermilk. ‘My recipe, which was published in my cookbook back in August 2011, is the only one out there to carry all of those traits. Doughnut muffins have been around for a while, Nigella Lawson even has them in her first cookbook — but the style of mine, that is what makes it unique. Ms Vo has described theirs as being an inferior version of her recipe. However Starbucks said they had no idea that other Duffins were being sold or that anyone was using the name. They claimed to have conducted an ‘extensive’ online search as well as a full trademark search for the name but had drawn a blank. ‘Inspired by our muffins, we sat together with our bakers and pondered how you could make a muffin go one step further,’ their marketing department claimed. However Ms Vo remains entirely unconvinced, pointing out that a quick google search will reveal dozens of refernces and recipes for Duffins, including her own. 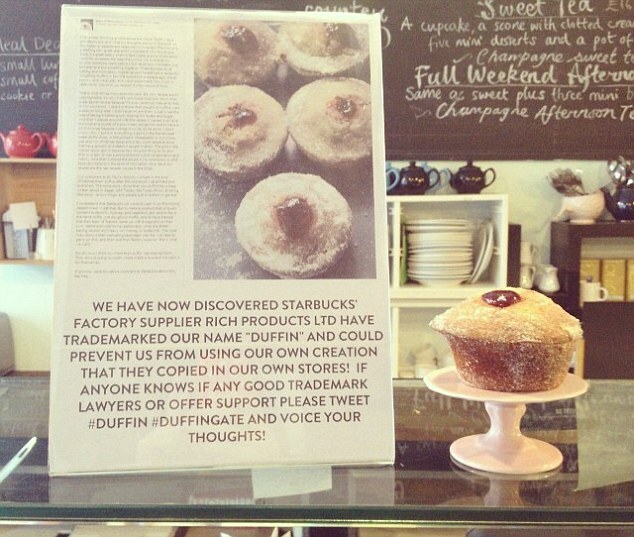 She told the Independent: ‘Starbucks maintains its original account that its invention is a unique invention and that it did an extensive online search for the word duffin and found nothing and as a result their supplier trademarked that name. I think that’s rubbish.